For those who have been waiting for him. 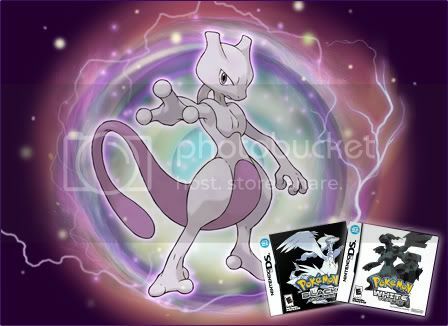 According to Pokemon.com and PokeBeach.com there will be an opportunity to download the all-mighty Mewtwo onto your copies of Pokemon Black or White. Apparently, he will possess the special move Electro Ball, which it cannot usually learn. I put the game down a while back, but I'll definitely bring it back out to pick this guy up. The specifics have not been announced yet, but it should be available February 12th. We will keep you posted.